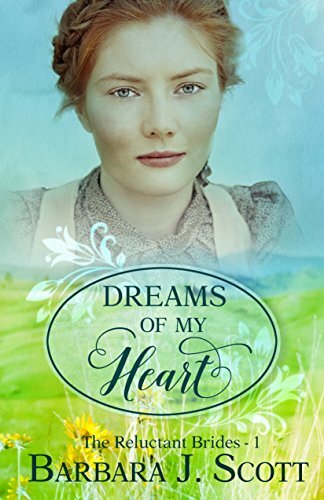 New Release from Barbara J. Scott and Mountain Brook Ink: Dreams of My Heart, The Reluctant Brides Book 1. Can a reluctant bride and her new husband fall in love despite their wounded hearts? Plucky Irish immigrant Kate O’Brien struggles to hang on to her brother’s homestead after his death in a suspicious cattle stampede. If she’s unable to pay off the loan that paid for her ticket to America, she will be forced to marry the banker’s rogue son, Rafe Hamilton. Texas cattleman and total stranger Buck McKean comes on the scene as her rescuer, his act of kindness poses a profound threat to her reputation, and the two marry to prevent the impending consequences but both come to marriage with broken hearts. Can God mend their hearts and save their love?